Project title: The Dead Body. Studies on Concepts of the „Corpse“ in Ancient Egypt. To this day, the various ancient Egyptian methods of mummification in terms of the external shape of a body, its modification and optimization are the topic of scientific essays. In Egyptology, the focus of interest was usually on the archaeological remains, the mummies. Often neglected is the question which terms in the various linguistic and scriptural variants (Old-, Middle-, New Egyptian, Demotic, Ptolemaic, Coptic) of Ancient Egypt could convey the meaning of "dead body". So far, there is no detailed consideration of how a "dead body" could be thought, described and explicated in ancient Egyptian texts. Therefore, the project aims to examine comprehensively all those lexemes and metonyms that may carry the meaning "dead body", "mummy" or "corpse" for the first time. In addition, conceptual metaphors are to be worked out that underlie the ancient Egyptian concept of the "corpse". In order to be able to trace such aspects, a long term perspective (i. e. Early Dynastic till Roman Period) is chosen for the investigation. 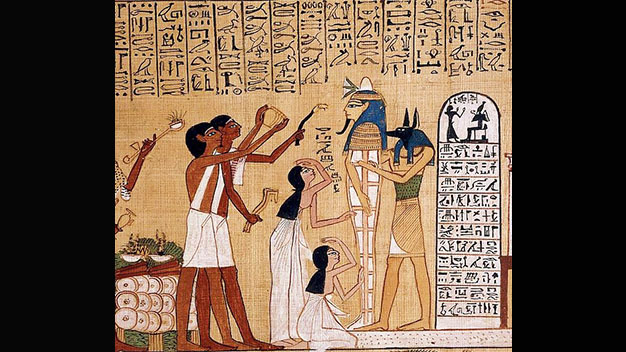 The sources to be examined will be composed of different genres of texts, with the main focus on the ancient Egyptian texts of the afterlife (e. g. Pyramid Texts, Coffin Texts, Book of the Dead). However, written sources from other genres, such as medical or mythological texts, are also included in the text corpus. In a synchronous analysis, it should be examined which statements are made in the texts specific to each epoch to the "dead body". From a diachronic perspective, on the other hand, attempts should be made to trace the possible changes in meaning and use of individual lexemes. Since different contexts are thought differently, it can also be assumed that heterogeneous concepts for the "corpse" can be traced within the individual text genres. In addition to the planned lexicological-semantic analysis, a text-image correlation is intended. The focus here will be on images of "dead bodies", which are marked by an inscription. It is to be compared whether the lexemes mentioned in the image sources are compatible with the respective representation of the corpse. In order to be able to determine possible concepts for the "dead body" in Ancient Egypt, a combination of several models from cognitive linguistics is sought for the method to be used. These methods need to be modified with regard to the source material and the issues of Egyptology.